And the Touch-iT No Effort Call Button Radio, ensuring you can offer help or assistance to those in your care when needed. 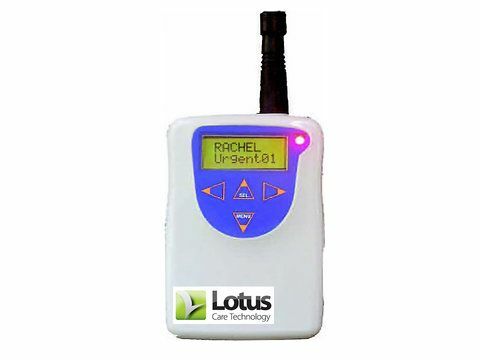 Once a sensor is triggered, an alert is sent to the pager. The pager has an outdoor range of up to 450m, giving you more freedom to be in your home or garden whilst still being able to assist your loved one if they require it. Sensors are sold separately and at least one sensor is required for use with the pager. This item is not available as a stand alone item and must be purchased with a sensor – please view sensors available and select one. The pager can link to a maximum of 8 sensors.